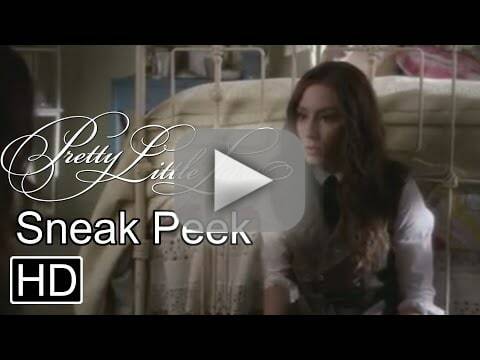 On Pretty Little Liars Season 5 Episode 10, Spencer doesn't think Ali is a friend anymore. 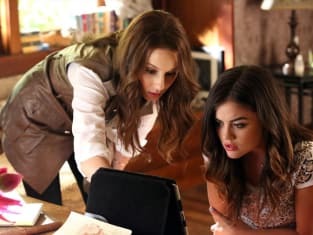 Emily, however, might still be under Ali's spell as she disagrees with Spencer and thinks Ali is just hurt and in need of her friends more than ever. It's difficult to imagine Spencer being wrong here. Mrs. Fields even made her a snack, for what it's worth. 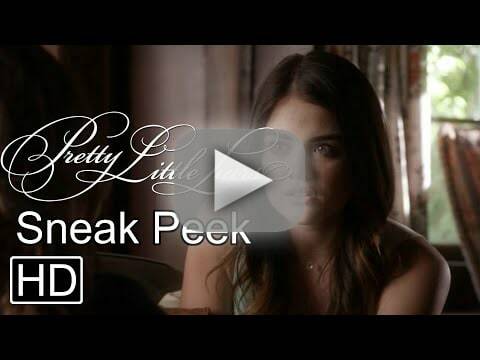 We saw in the Pretty Little Liars Picture Preview for Season 5 Episode 10 that there would be a scene between Aria and Ella. It's a difficult one to watch. Ella feels her age and lack of wisdom have lead her down a path where someone like Zack could get the best of her. Luckily for Ella, her girl Aria has been through enough hell for several adults and has compassion to match. Will we finally have some deep moments to bind our Liars and their families together? Watch and meet us back here for a review of the installment after it airs. If you need to catch up with the girl, you can watch Pretty Little Liars online via TV Fanatic for all the latest!